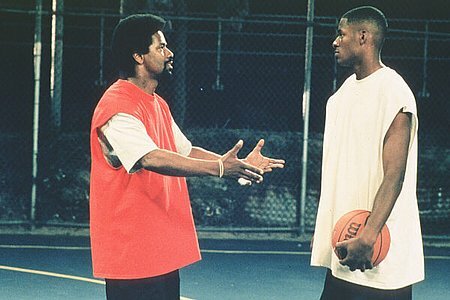 Yeah, yeah… Ray Allen broke the all time record for 3 Pointers made in the NBA. Congrats dude. Guess what else, Ray, it didn’t matter. In other stories that people actually care about, the Lake Show crushed the Celtics at the Garden last night and it was glorious. I don’t like anything about the Celtics. They disgust me. Every once in a while, they have a player that I don’t mind so much, Ray Allen is one of them. KG? All talk. Rondo? Cocky. Pierce? Looooathe. Shaq? Thanks for titles in LA. Nate Robinson? Short and funny. Perkins? Real, real ugly. Big Baby? Exactly that. Shockingly, I kinda like Doc Rivers. Here’s what he said about Kobe Bryant last night. “Listen, Kobe didn’t win the game with his offense. 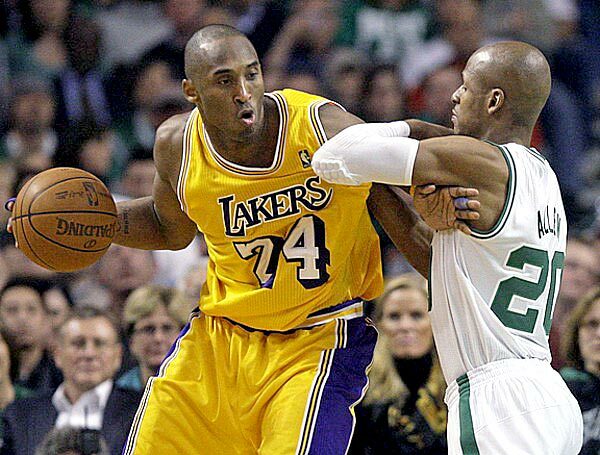 Kobe won the game today with his defense. I thought defensively, he was absolutely phenomenal. He was everywhere.” Well put, Doc. "I hate my name. What kind of name is Jesus anyway?" "It's Biblical" "Yeah, no kidding." This entry was posted in Basketball, Movies, NBA and tagged 3 point record, Black Mamba, Boston, Celtics, Jesus Shuttlesworth, Kobe Bryant, Lakers, Los Angeles, NBA, Ray Allen. Bookmark the permalink.